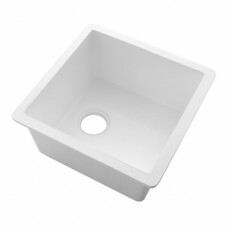 Sinks of all kinds complement solid surface worktops and are both a practical neccessity and a design opportunity. The different types offer a variety of ways for the surface and sink to meet as well as the aesthetic contrast between the worktop colour and the sink.We have here the most popular sizes and formats of sink as well as the additional items used for installing them. 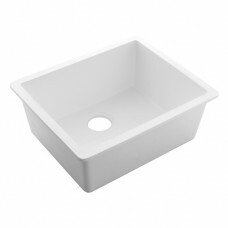 Matte White Solid Surface Sink for Undermount Flush Fitting or with Overhang. A combination of cl..
Undermount Sink Jig to suit the ORELLO Medium Bowl S4040X. Outer Jig (with centre points) In..
Undermount Sink Jig to suit the ORELLO Large Bowl S5040X. 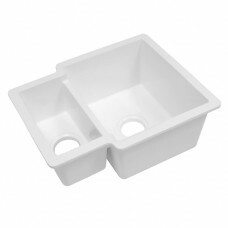 Outer Jig (with centre points) Inn..
Undermount Sink Jig to suit the ORELLO Twin Bowl T3216V. Outer Jig (with centre points) Inne..